One of the most interesting things for me as a watch collector/enthusiast is when a timepiece can be personalized or otherwise customized for its owner. 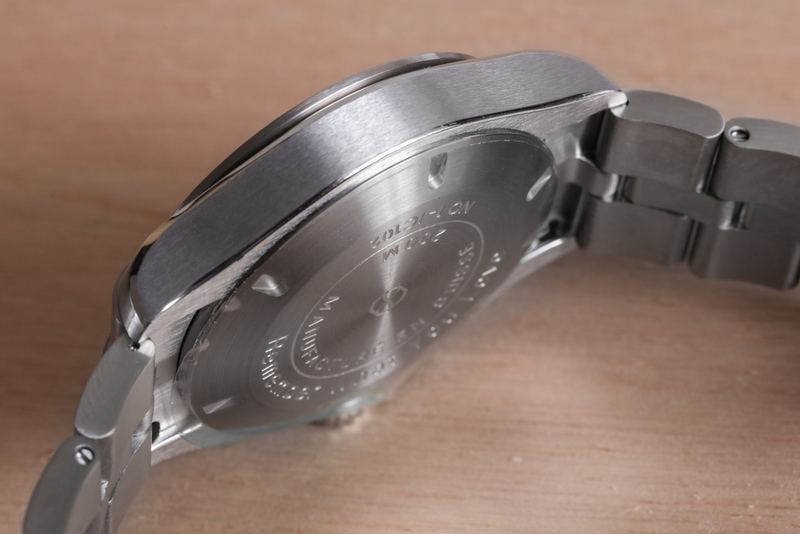 A personalized watch has two main advantages over a “stock” watch, and that is offering additional exclusivity, as well as added relevancy to its specific owner. 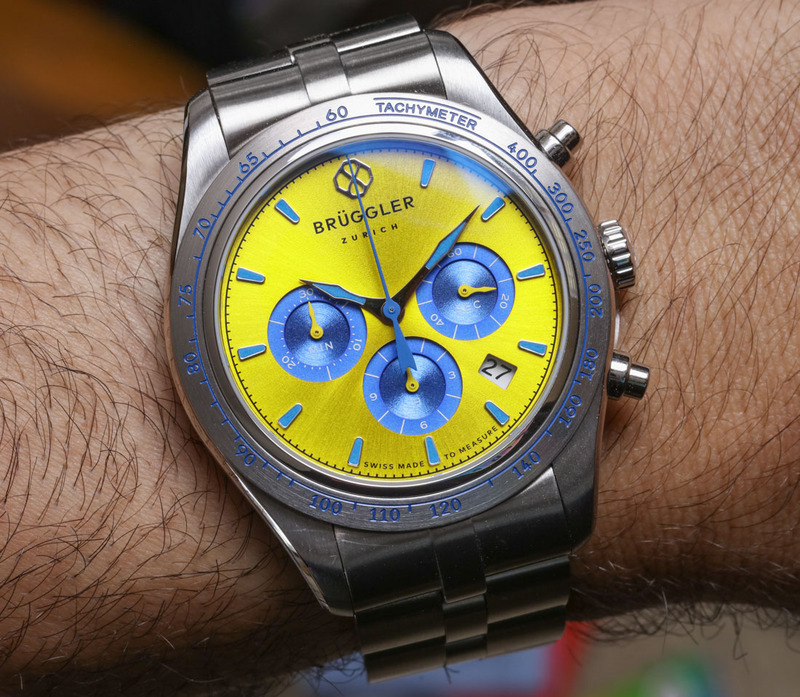 Today I review a “fully” Swiss made mechanical Brüggler Chronograph watch whose unique selling point is the ability for consumers to use Brüggler’s online interface to select from a long list of colors and options to make a timepiece specifically suited to them. 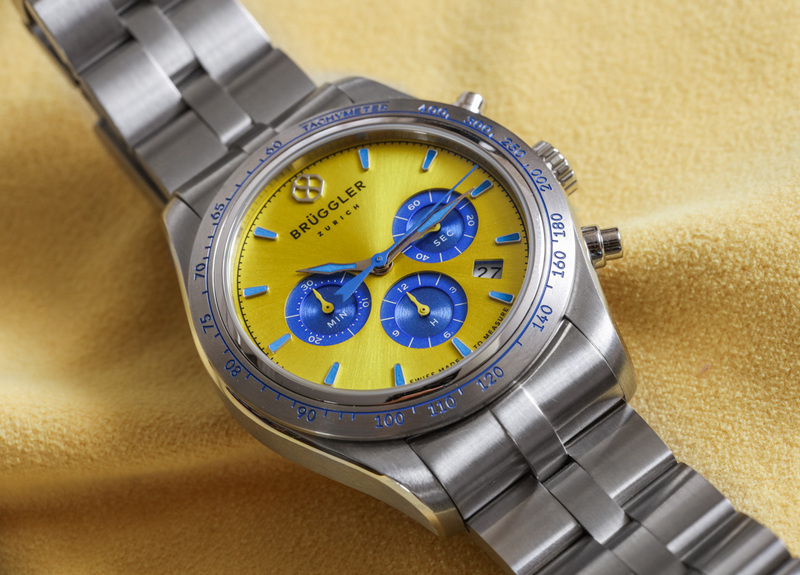 The Brüggler Chronograph itself is the eponymous brand creation of Michael Brüggler, who had the mission to combine the appeal he found from getting a personalized watch, with his respect for watches produced in his native Switzerland. It’s a small brand like so many others these days, but what makes it a bit different is just how Swiss the watch is – not relying on foreign-made parts. More interesting is the fact that many of the parts are made on order, rather than Brüggler’s production partner choosing components from a parts bin. My understanding is that only after a watch dial is chosen and purchased, does it go into production. That alone makes it different than the vast majority of timepieces out there that you can personalize via an online interface. 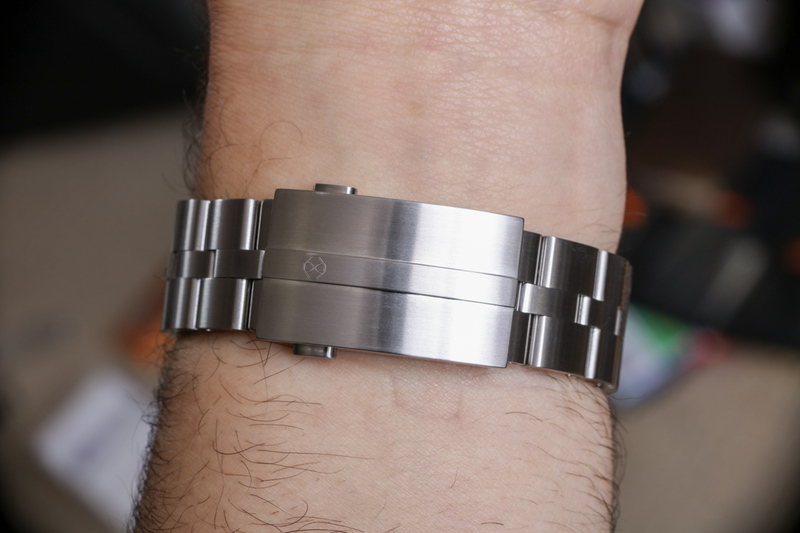 Brüggler watches do however have an uphill battle to climb. For one thing, given that its movement, case, dial, and bracelet are produced in Switzerland, it necessarily costs more than watches whose parts are produced in places such as the Far East. 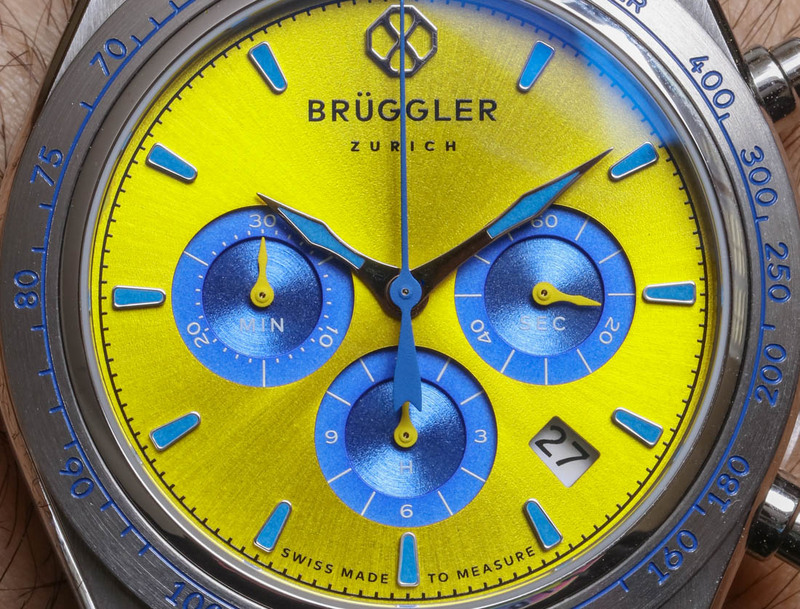 Second, at prices averaging around 5,000 Swiss Francs, Brüggler is in direct competition with a lot of very well-known Swiss watch brands who come to the table with more product selection, history, awareness, and seeming legitimacy than Brüggler. These struggles are real, but with that said there are some definite good instances where getting a Brüggler timepiece can make sense for a consumer seeking its particular blend of features and value propositions. For review is a Brüggler timepiece I designed with Michael Brüggler himself. We recorded the chat we had when he guided me through designing something on the Brüggler website. Unfortunately, I don’t think Mr. Brüggler can make this service available to everyone (but it was very helpful to me). I recorded the process because I think it is important to demonstrate how most everyone finds it challenging, but ultimately rewarding to design something by themselves. The truth is that more people don’t customize or personalize products (even when it is made easy) because making the choice of what something should look like is hard. I spoke to him about what design inspirations people have when customizing a watch, and his response was interesting because I think more than anything else, it discusses the types of people are who actually buy personalized watches of this type. These individuals wanted watches to match their cars, homes, horses, and of course, specific favorite items in their wardrobes. Exclusivity is essentially the highest form of luxury. The idea that you are the only one to have something, is often more valuable than “like other people, I paid a high price for this item.” People who can afford anything they want, naturally migrate from buying available items to items that do not yet exist. The most simple form of that is cosmetically adapting an existing product to meet your personal needs or taste. This is more or less the type of personalization available in the Brüggler watch. What I like, however, is how deep Brüggler’s online interface allows you to go. 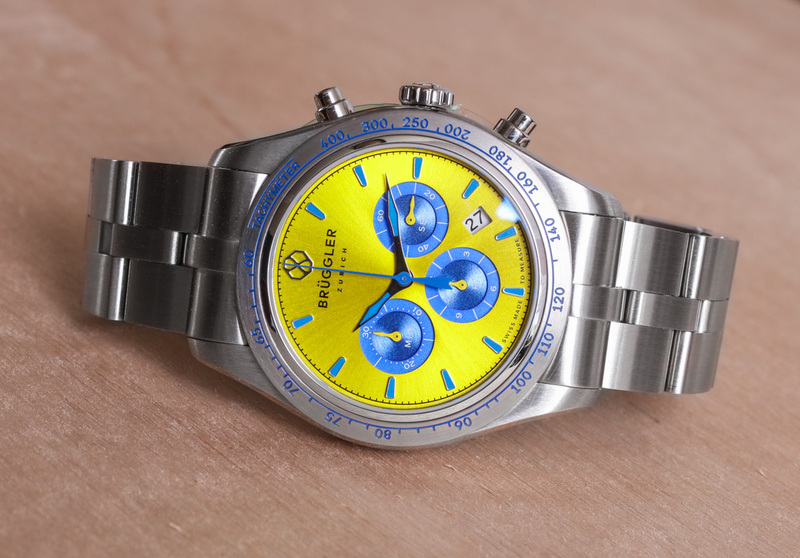 You don’t just select the color of the chronograph sub-dials, but actually a few colors within that structure. You can even choose colors that aren’t in the available list, and my understanding is that they will try to match them as best as possible for you. 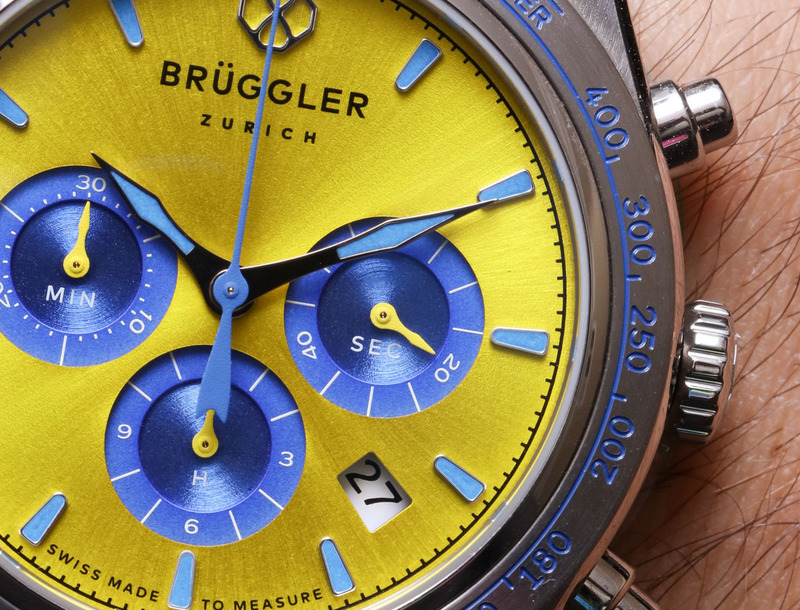 As a smaller brand Brüggler needed to start with a single watch design that was versatile enough to be personalized in a variety of ways, for both men and women. 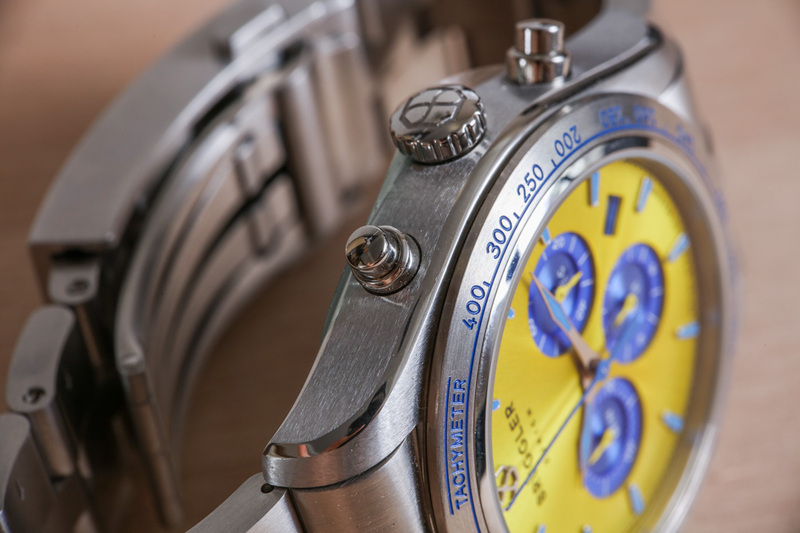 To this end Michael chose a 40mm wide sport-style chronograph with an attractive tri-compax layout. 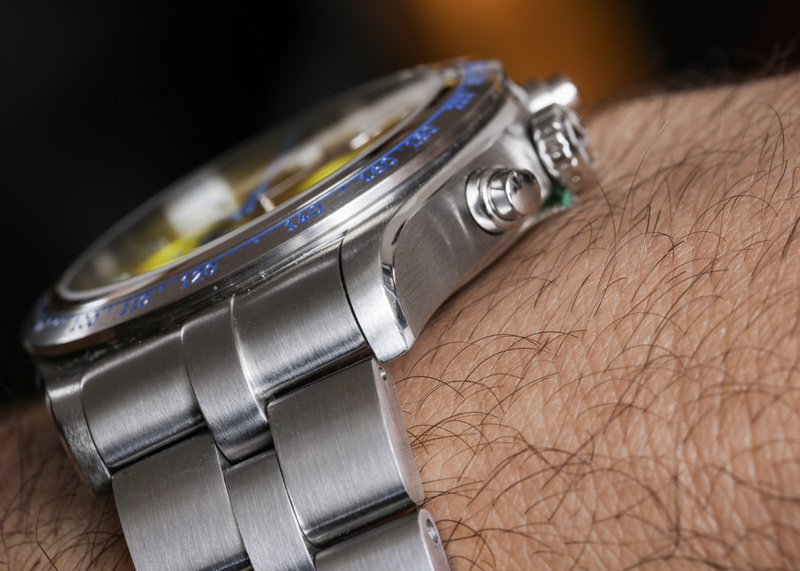 The watch comes in steel, titanium, or even previous metals – on a matching bracelet or a variety of strap options. Parts and finishing are quite good, and representative of the Swiss Made promise on the dial. 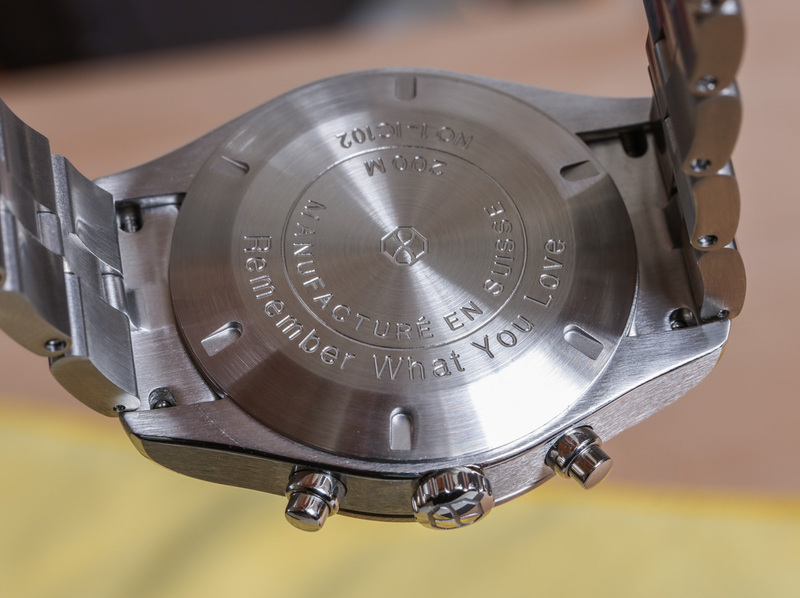 I’ve certainly handled personalized watches in the past made with lower-cost manufacturing techniques, and can easily say that the Brüggler Chronograph is far better. 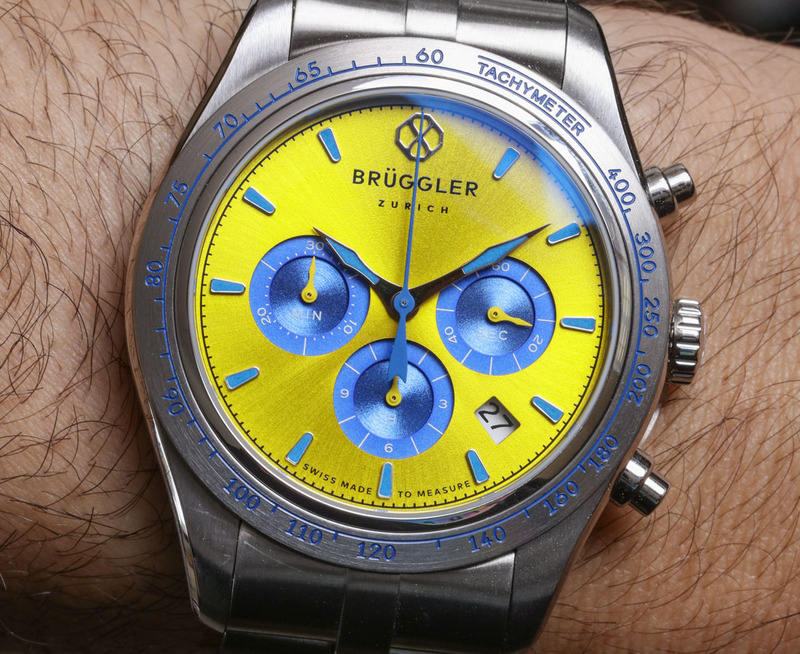 In fact, a step up in quality or complexity of design from the Brüggler Chronograph is liable to set you back a lot more money. Certain brands such as Roger Dubuis and Vacheron Constantin pride themselves on very elaborate and high-end customization or personalization services for their watches, which accordingly come with prices in the tens of thousands or hundreds of thousands of dollars. In some instances even into the millions of dollars. 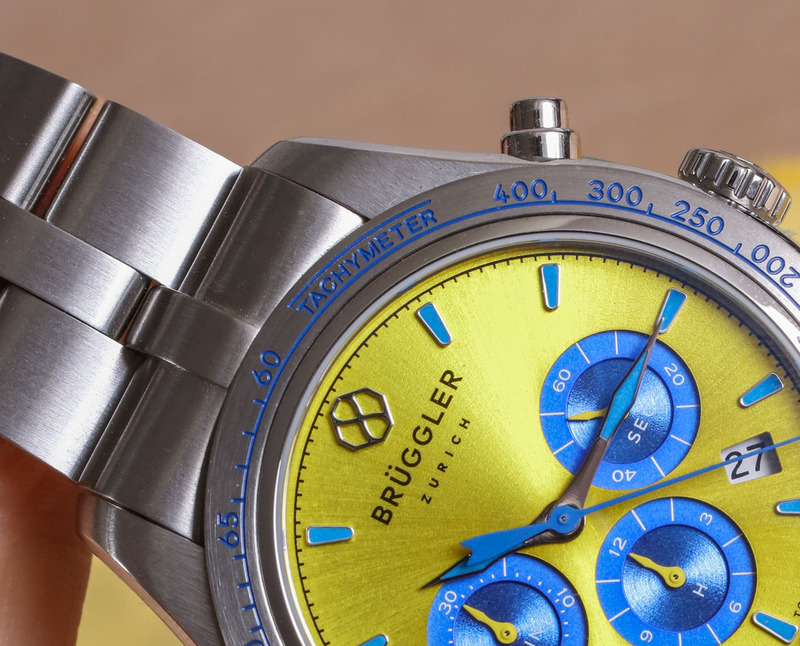 That makes brands like Brüggler rare, because they try to combine the flexibility of personalized designs produced via a self-service online interface, and the quality assurances of a Swiss made timepiece.